No. 20A, Lorong Jelutong, Taman Selatan, 41200 Klang, Selangor, Malaysia. 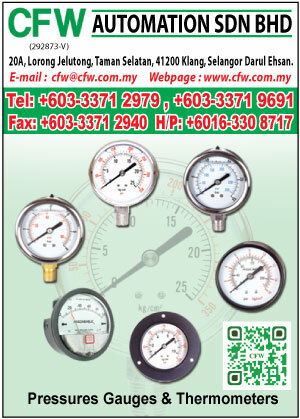 CFW Automation Sendirian Berhad was just established on this site since 1990 and was known as CFW Enterprise. 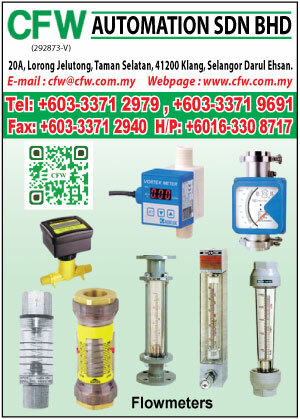 On 26th March 1994, CFW Enterprise was known as CFW Automation Sendirian Berhad and continuous to be presence until today. 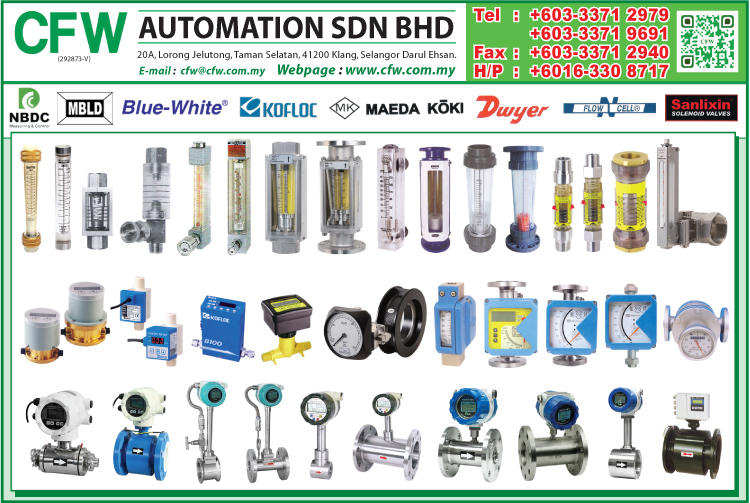 We are a leading trading company located in Malaysia, which supply recording charts, disposal pens, industrial Flow Meters, Temperature Controller / Indicator, Digital / Analog Thermometer, Pressure Gauge, Prescale Sheet and many more industrial product. 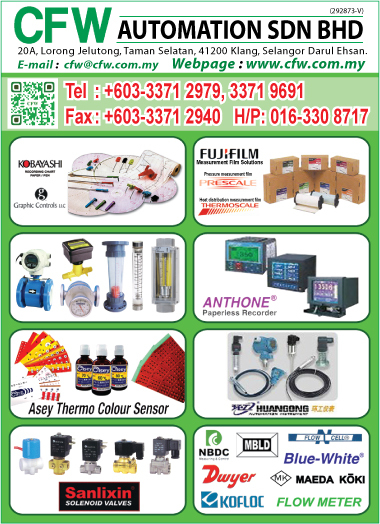 Our company have been authorize to import product from the world leading industries.